Getting a 4.0 GPA simply isn’t good enough for many well-known colleges. It’s now considered a starting point (Let me remind you that a 4.0 is straight A’s in every subject). The perceived ‘good’ colleges (and we’ll get to what that means later) are severely impacted with applicants from around the world. Since spaces are limited, there needs to be a way to weed through the mountain of applicants. We are now in the academic rat race, or the race to nowhere. College applications are higher than ever, consequently, the demand is much greater than the supply, and to be competitive, GPA’s need to be higher. AP (Advanced Placement) classes are college level classes that are taught in high school. These classes were once reserved for academically gifted students. Now, students are told they need to ‘show rigor’, and instead of just academically gifted kids taking AP classes, every other high school student is encouraged to ‘push themselves’ to show rigor to be competitive. Most high schools give AP classes an additional grading point. So it’s possible to get a 5.0 GPA credit from one AP class, or a B in an AP class gives a 4.0 GPA. Bumping up that high school GPA with college level classes is now a ‘thing’. Many students are taking multiple AP classes to shoot for the highest possible GPA. Because going back to my earlier point, a 4.0 (straight A’s in every high school class remember) simply isn’t good enough to show rigor to college admissions officers. For highly selective schools such as Ivy League schools, Stanford, and public universities like UCLA and UC Berkeley, it’s common for accepted applicants to take about eight AP classes throughout high school, though that number can range from five to 13. The expectation from college admissions officers to see college-level courses on a high school transcript, is negatively impacting a students high school experience, and creating needless stress. 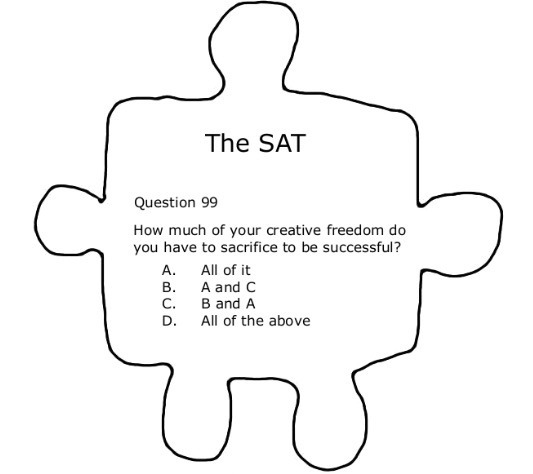 SAT and ACT tutoring is a huge business, fueled by anxious parents and stressed out students. Many parents spend over $200 per hour (guilty as charged!) for a specialized tutor to work with students on ‘test-taking strategies. The College Board promotes these standardized tests as a simple recap of the high school curriculum, yet there’s stress and anxiety placed on these test results. A high test score is seen as a deciding factor on whether your child walks through the pearly gates of their dream college. This creates an unfair advantage for students who have parents who can pay these obscene tutoring fees. There are free options such as Khan Academy, but often parents are brainwashed into seeing this score as ‘the ticket to a good college’, and most don’t blink to write those checks. But the message is clear, higher test scores can be bought if you are willing, and able, to pay for them. High school students are more anxious than ever, according to mental health surveys. There are many reasons for this increase including smart phones, social media etc., but all articles and indications point to one common denominator: the pressure to succeed. It’s too much. Multiple AP classes showing rigor to get into ‘good’ colleges, endless volunteer hours, the need to show you have a ‘thing’… It’s simply too much. And the data is proving this. Something needs to change. High achieving students feel it’s nearly impossible to gain admission to their dream school, and all of their efforts and anxiety are overwhelming. 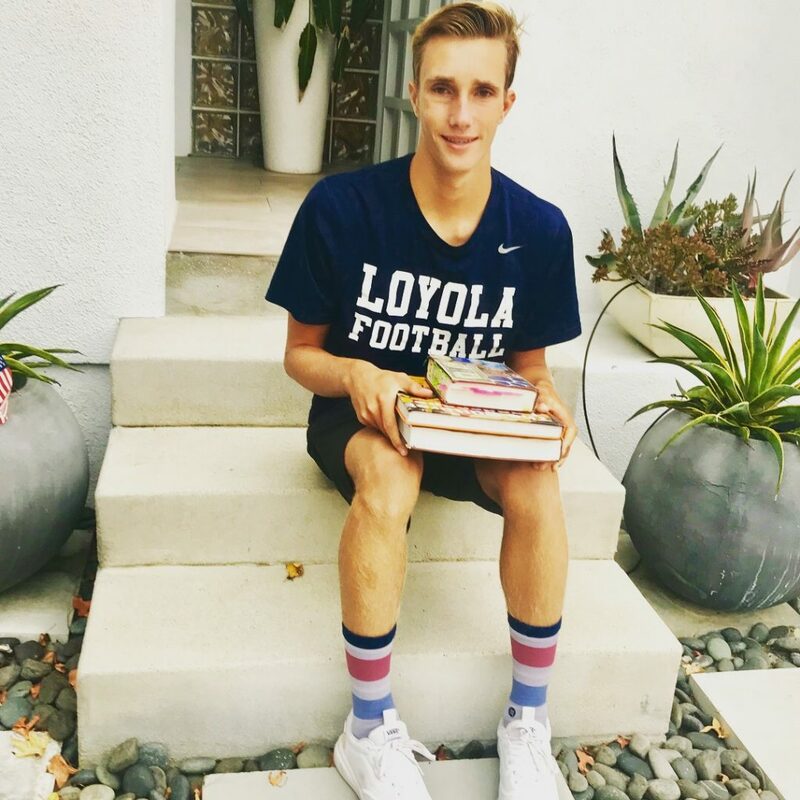 Teen suicides are higher than ever, and the recent letter from a 16-year-old at a competitive high school who ended his life because “So much pressure is placed on the students to do well that I couldn’t do it anymore,” is simply heartbreaking. 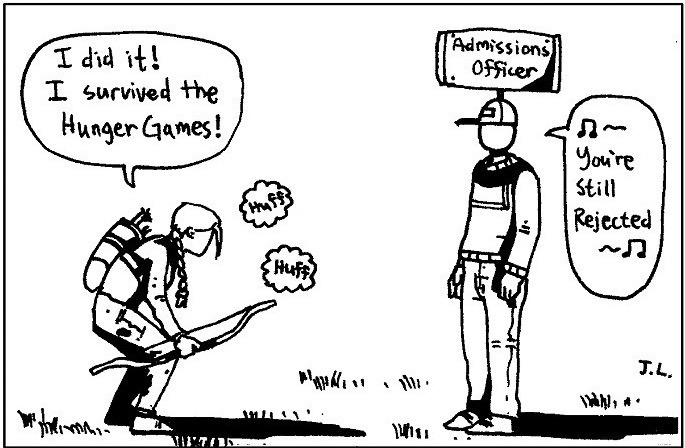 Admission to most UC colleges has become incredibly competitive. State funding is scarce, and thousands of qualified California students are being rejected from their UC or even CAL state school of choice. Schools are severely impacted due to their desirable campuses and world renown facilities, and some receive over 100,000 applications from all over the world for fewer than 6,000 freshman spots. In 2018, UCLA had 113,000 applicants, compared with 55,397 a decade prior, and 32,792 in 1998. And the reality is if UCLA accepts an in-state student they receive about $14,000 tuition, and if they accept an out-of-state student they receive $42,000. International students could pay $63,000! Hmm could financial gain possibly be a factor in the admissions process? Typically, when you make a purchase, you see the price, decide if you want to pay the price, and make the purchase or look elsewhere. 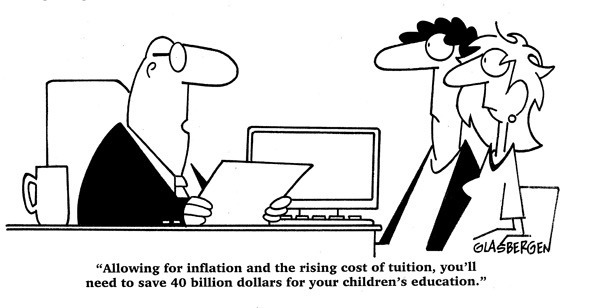 College pricing is much less clear. For example, a private liberal arts school could have a price of $50,000 per year on their website, but most people will not pay that. There are various merit and academic scholarships you might be eligible for, and then there’s financial aid you might be eligible for. Most websites have a ‘net price calculator’, but the reality is most students need to apply and hope they qualify for some sort of student aid to lower the (often shocking) price. They will see their price in their letter of acceptance (or not!) Oh and most colleges charge an application fee of $50 – $100, and there’s an additional fee to send SAT/ACT scores, so if your child is planning to apply to 10 colleges, you could be looking at $1000+ in application fees alone. Cool. So here’s the reality. There’s no magic formula for guaranteed admission to your dream school. The college application process is subjective and emotional. There are things you can do to increase your chances of admissions and to create an impressive transcript, but everything comes at a cost. Either a literal cost or an emotional cost. There are also many factors you cannot control that might be a deciding factor in your acceptance such as legacies (hello Trojan Transfer Plan), diversity, and program needs. My advise is to encourage your child to focus on the things that are within their control: make good choices, have grit, work hard, be kind, be authentic, and develop academic and extracurricular passions. A good read is Where You Go Is Not Who You’ll Be… an Antidote to The College Admissions Mania by Frank Bruni. He reminds us there’s not one perfect school out there, there are many, and your college choice does not define your path in life. I love every part of being a mum… even this part, and I love being on this journey with my son. I love the struggle and the questions, and I’m so excited to see what is in store for him. Oh… and if you need me, you’ll find me in a blubbering mess on the bedroom floor watching baby videos. This one hits close to home! We just finished going through all of this and you’re so right – it’s challenging from beginning to end – and the entire process is in need of significant and meaningful transformation. 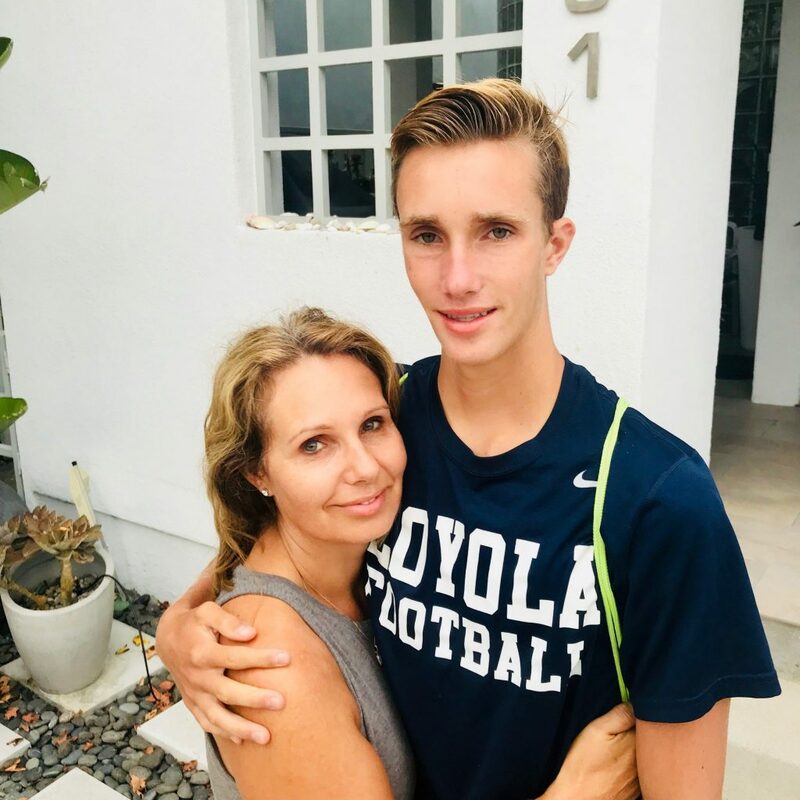 Our path was a little different coming from home education, but honestly, Mark’s primary choice was a top engineering school that – guess what – looked at only ACT and GPA. He’s in. It’s done. And a 40% academic scholarship certainly helps him, but there are still lots of questions to answer and possibilities to stomp down. I’m definitely not a fan of the overcomplicated, subversive, and at times misleading process but I confess to wondering if it’s all so tangled up together that there may be no way to disentangle and simplify. My thoughts are that we better take a deep breath and hope we learned a few things…because the next kid is coming down the pike. Yay! Congrats to Mark! 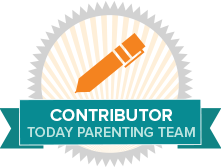 That’s fantastic, since I know his path as less than conventional… so great to hear you / he navigated this whole process… and yes, we’ll have this completely down for the next kiddo! Adding…I love your advice! >>encourage your child to focus on the things that are within their control: make good choices, have grit, work hard, be kind, be authentic, and develop academic and extracurricular passions. << That's it! That's where our efforts should be! Random Thoughts from a parent of a senior at a New England prep school- A- People lie- (kids and parents) inflate their gpa or test scores (so when you are feeing down just remember, don’t believe everything you hear B- Most of my daughter’s friends applied to over 15 schools at $75 a school, plus $13 per score submitted (so if you took the SAT 3 times and you want the school to superscore it, that’s another $39 per school) That’s almost $2,000. C-The whole ED thing is out of control. It really hurts financial aid kids and it seems designed to help colleges, hurt kids and draw out the whole process D-I wish more kids would do a gap year. All great points! Yes, I am a huge fan of the gap year!